GID part 2. 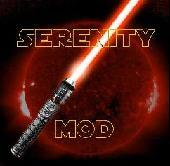 - 30 January 2009 - Jedi academy Mods: By Serenity. Main » 2009 » January » 30 » GID part 2. Thanks to bmxer, part 2 was uploaded to Mediafire Server! Now I am trying to hand the disks over to the UK people, if i can arrange to meet up with them. Uhhh...... This doesn't work. Do you have to have part 1 to use this? I have part 1, but I put the rar files into the base folder of another Gamedata with Jedi Academy. I HAVE LOST THE SUPER FORCE PUSH CAN SOMEONE HELP ME? If you have problems with unpacking the .rar files, you should google "winsplit" ! With this tool you have to join the rar files into 1 rar file, after that you can extract it normally!